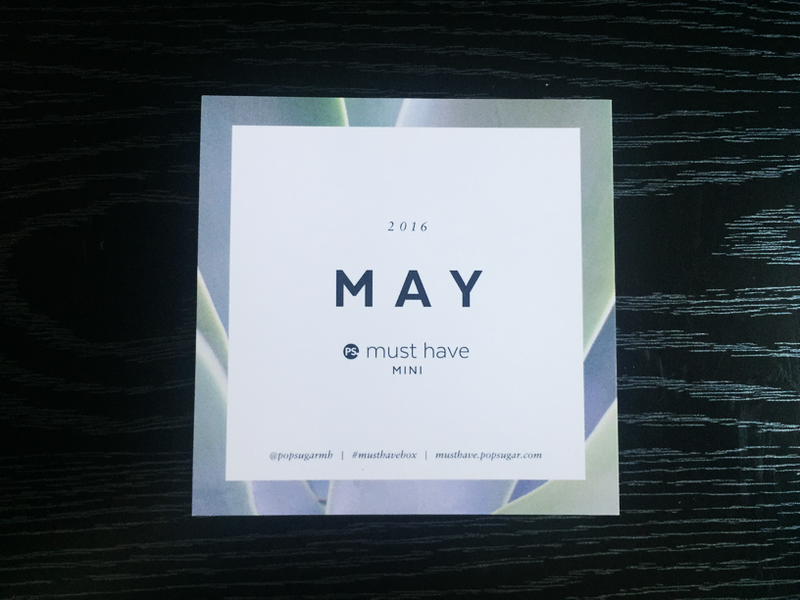 This Months Inspiration: Hydration, Yoga, Deep Breaths, Fitness, Relaxation, and Health. 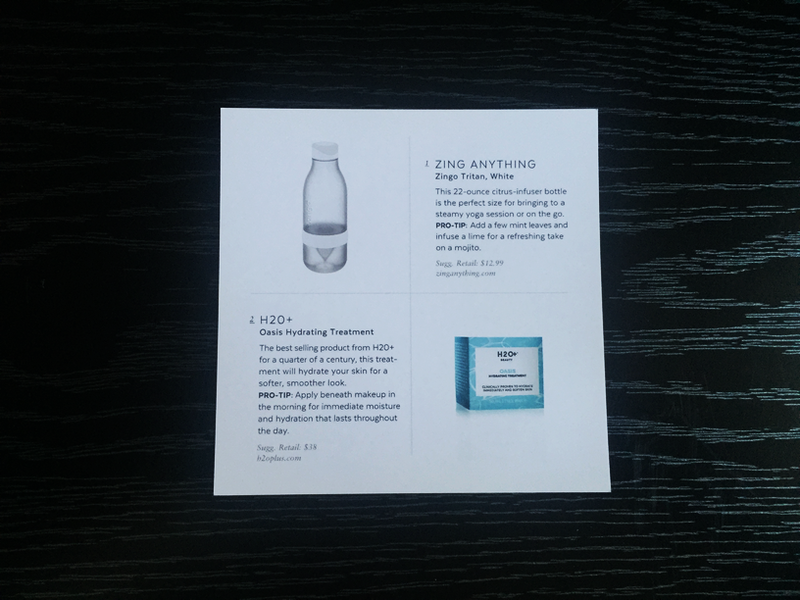 The Mini box includes a information card just like the regular size boxes. 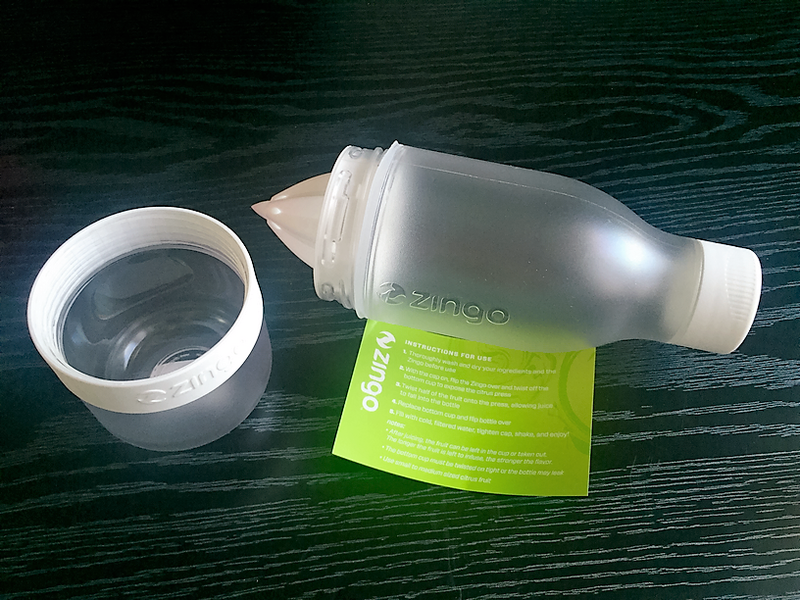 I had been wanting one of these water bottles that you can infuse with flavor for awhile now, so I was excited to receive one in this mini box. 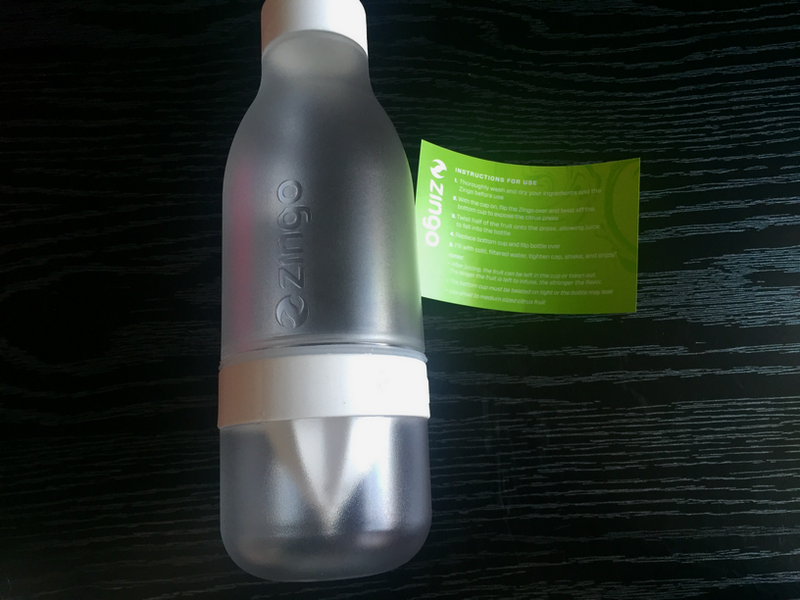 This particular bottle is 22 ounces and has a citrus press attached to the bottom. You can juice the fruit and leave it in the bottom cup for more flavor too. This is a great item with summer right around the corner. 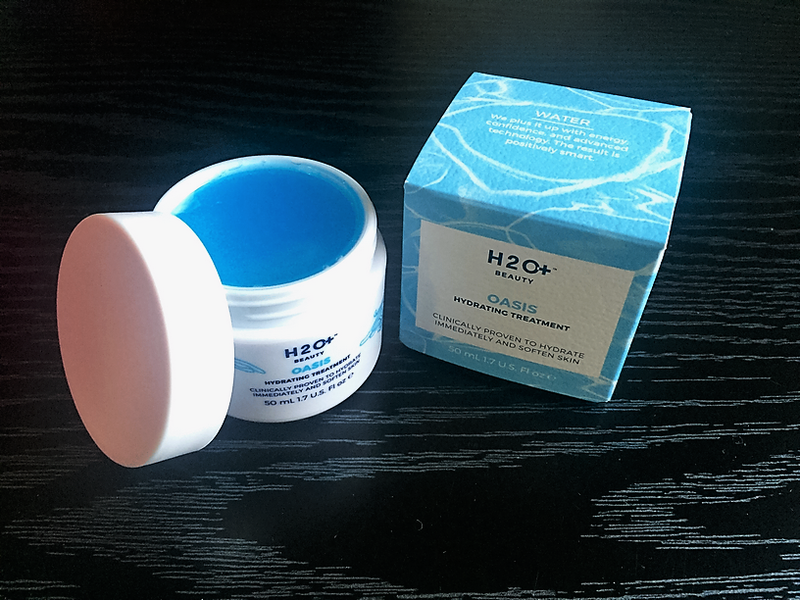 This item by H2O+ is a skin hydration gel. It is to be applied to your face and neck to hydrate and soften your skin. It can also be applied under your makeup to keep your face hydrated and moisturized throughout the day. I do like the way this gel makes my skin feel, however, I am not sure about the smell, it kind of reminds me of Windex. Verdict: The retail value of this box comes to $50.99. The cost of this box is $18.95 + tax. So you definitely are getting your monies worth just like with the regular size POPSUGAR Must Have Box. I liked both items I received and do feel they complement the full size box nicely, but, I feel that this mini box does leave you wanting more. I just don’t feel as satisfied as I normally do with the full size box. Perhaps they could add an extra item or two, even if they were not high in value it would make the box more fulfilling. 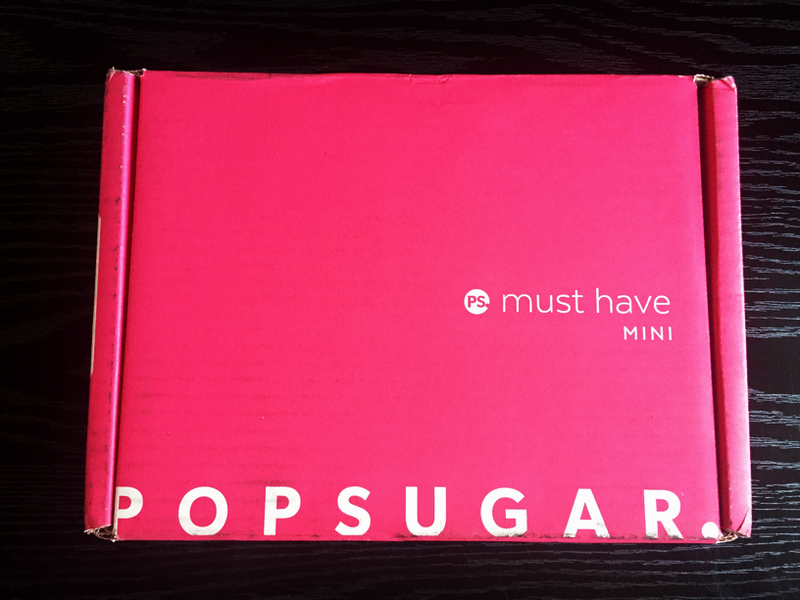 Since this is still a new box for PopSugar I am curious to see how they adjust and make improvements with this mini box.